Whether cutting, grinding, or drilling, a critical component today is proper dust control. 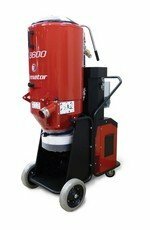 In order to help today’s contractors achieve this, we offer a complete line of dust extraction equipment with HEPA filtration (99.9% of dust particles removed). 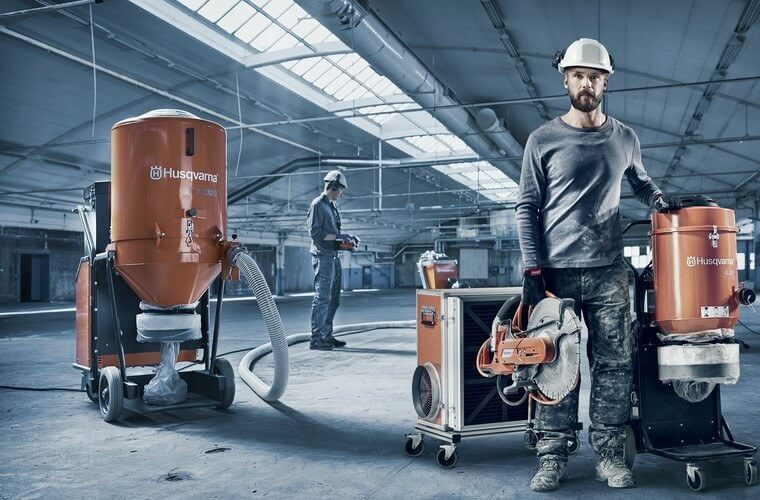 With the threat of silicosis from prolonged exposure to fine silica dust, the new OSHA Respirable Silica Regulations, require the use of dust extractors among other measures. Please call us today so we can help you protect your workforce from silica exposure and comply with today’s regulations. Pullman Ermator manufactures a full line of single phase extractors in one, two, and three motor designs. 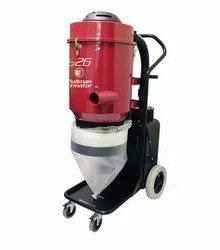 These units include individually tested and certified HEPA filters, pre-filter, cyclonic chamber, and the Longopac® dustless deposit system for easy handling and disposal of concrete dust. Equipped with a “Jet Pulse” filter cleaning system for cleaning filters and thereby maximizing airflow and pick-up efficiency. For the largest grinding and dust producing jobs, we recommend Pullman Ermator’s T-Line Dust Extractors. These three-phase HEPA dust collectors can capture large amounts of dust and debris without interruption. We have six versatile models to choose from. Just like the S-Line, they are equipped with Jet Pulse filter cleaning system for maximizing airflow and productivity, dual HEPA filters and the Longopac® dustless system. HTC’s dust extractors comes in several sizes, ranging from the economical HTC GL 25 D to the powerful, remote controlled HTC D60 and 80iD. 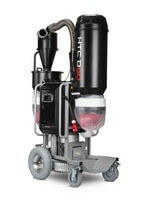 The new D60 is designed to be controlled from your HTC Duratiq grinder and features an integrated pre-separator that will remove up to 95% of the dust before it reaches the vacuum. Better yet, it offers an automatic filter cleaning system that assures optimal airflow and productivity. Pullman Ermator manufactures three sizes of pre-separators. These are placed between your piece of equipment and vacuum. They will remove 90 to 95% of the dust and debris from the airflow before it reaches your dust extractor. This will prolong the life of your vacuum and filters, while increasing productivity on the jobsite. We also offer “trailers” that can be used to connect your pre-separator with your vacuum to facilitate movement around the job site.